Honeywell humidifier paper pad with antimicrobial coating. Helps your humidifier unit distribute moisture more effectively. Change twice a year for maximum effectiveness. Fits Honeywell humidifier models: HE200, HE250, HE260A, HE260B, HE265, HE280, HE300, HE360A, HE360B, HE365. The Honeywell Whole House Humidifier Pad is a reliable solution that works well with home furnaces and promotes proper and comfortable humidity levels throughout your home. 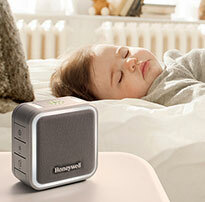 This Honeywell Humidifier Pad was specifically designed to spread moisture in an even and thorough manner. It is recommended that each humidifier pad be replaced twice per heating season to maximize overall comfort. Product Dimensions: 13.7 x 10.4 x 1.6 in. Fits perfectly into unit, overnight I could tell the difference in humidity and air. Product works great with new heating system. Great product at a reasonable price. Easy to change filter. Your typical replacement filter. Form, fit, function! Very good product and services. I've ordered and used these humidifier pads over the last few years. They perform predictably and are always delivered as described. A perfect fit, thanks to you! The rep Dave? took the time and effort on something as simple as a humidifier pad. The HVAC company that installed our new heater last year were NOT very good and I couldnt find the right part number anywhere! But now I have a perfect replacement and everything's fine. 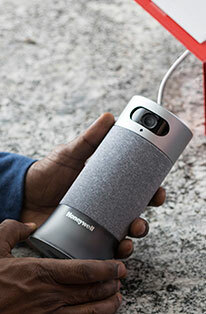 You can be sure I'll be reordering from Honeywell! Thank you. We've used several other brands of humidifier water pads and this one is the best so far. We are all sensitive to allergens and this really does help. So far it's lasting longer than the other brands as well. Well worth the cost! I use a filter each year. It works great. This is very good original filter and priced right. Very fast shipping, very nice service. Was concerned about size, whether or not it would fit. Gentleman at Customer Service assured me it would. He was correct. It did! Very happy with purchase. Just what I needed and it arrived quickly. Fit model perfectly and easy to install. I saw an immediate increase of the humidifier's efficiency once I replaced the old filter. Box of pads arrived on date promised. They work very well for our humidifier. These filters are excellent and last longer than the recommended time for use. Also very fast delivery on order. Very pleased. I placed an order for 10 replacement humidifier pads, I received an email confirming my order followed by another email the next day stating my order was shipped. I received the 10 new pads in less than a week. Fitted my humidifier exactly. Works fine. The web site is easy to navigate. The pad arrived on time and in good shape. I have ordered from here before with the same results. Humidifier pads work great, bought a supply for the whole winter. It is so convenient to be able to order the pad online and receive the the correct product in good condition a few days later. The pads fitted perfectly and works great. This is by far the easiest and best way to get the correct filter. Tried others don't waste your time. Pad was also ordered before. Well constructed and long-lasting. Easy to install and works great. I've used this product in the past and have been very happy with the results. After using an inferior product, I ordered the humidifier pads from Honeywell and the results were so much better than the off brand. The local box stores did not have the Honeywell humidifier pad. Using the inferior product I can only maintain 30 to 31% humidity in my house. After installing the Honeywell humidifier pad I think I could probably get whatever humidity I wanted out of it. It pays to use the correct product! I was sad to see my local hardware store does not sell this item anymore but was glad I was able to do it online and was fairly simple process. In-time delivery. Easy to shop around. This was exactly what I was looking for at a reasonable price. Easy to install. Fair price compared to generics. Thankful for the reminder. Ordering was easy and received in a timely manner. Will definitely order again. These work OK but our water is so hard, we have to change the filters every 2-3 months depending how much the furnace runs. Very easy to order and exactly what we wanted. Thank you. This was the Pad that we were looking for over a year. Finally found this site and the pad was delivered in a couple days. Great product it really works really well. It arrived on time and in good condition. Nice pad and easy to install also easy to order. Order was simple after checking with store on the correct pad. The order arrived quickly. Got the right filter after an unsuccessful search at a local home products store. Product was as advertised, fast delivery. Product fits and works as advertised. Customer rep was extremely helpful. This is a very functional product. thanks- it fits great and easy to install. Replacement by OEM Filter is the way to go. I have not used the filters yet but they look nice. I did not see a mark on the filter for the top of the filter as the box seemed to indicate. Product was as suggested and promptly delivered. Everything was painless. Your customer service person was very helpful. The best value out there! And straight from the manufacturer so you know it will fit. I bought 10 filters which gave me a nice discount. Thanks! Good quality product. Performs well. I have been using it for years with good results. The pad arrived on time in good condition. I really appreciate the reminder to buy a new supply for this year. After trying locally, with no luck, to buy a filter for our Honeywell humidifier, I decided to try my luck ordering online. The service was excellent and very fast! The pads fit perfectly I had looked locally for over a week and couldn't find anyone that handled these type pads. I was pleased with the ease of ordering and finding the ones I needed. Recommend that a link be added to your search that converts old pad numbers to the new replacement numbers. Easy to order, came on time and fit. I am happy. The pad fit the HE 250 humidifier and is as advertised. Fantastic product and delivery process. Humidifier pad fit perfectly and is currently in use. Better quality than some of the other brands available in the market. I replaced my original Aprilaire humidifier pad with this one. 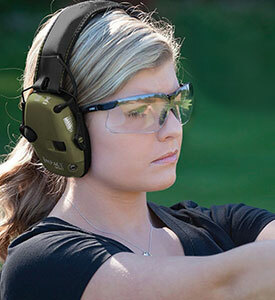 It also costs significantly less than the Aprilaire product with no compromise in quality. Product fit and worked well. I was really surprised to receive a paper type Humidifier Pad. Much more efficient and certainly less mess then my old Pad. Light weight and easy to install. Thank you ! No issues! Works as advertised! Satisfied with the product. It arrived in a timely manner. Received these filters promptly. Exactly what I ordered. No problems. Easy to order. Shipped right away and arrived on time. Humidifier pad arrived in several days and was easy to install. Shipping was quick. Filter was great. Web site was easy to navigate. Price was reasonable. Easy to install. Exactly what I need, the website gave specific descriptions, so it was easy to find what I wanted. Shipping was SO fast too! Shipped as promised and delivered in one piece. Part is accurate and working. Does work very well always have brought Honeywell products for years. Quick and easy to use. Prompt arrival of the product after it is ordered. The service at the Honeywell Store was wonderful. I couldnt find the part 20 year old humidifieron their list..and I e-mailed for help. Immediate response and answer to my problem... and quick ship to me. Great product, impressive service. I am very happy with my purchase. This product works well, was sent in a timely manner and is a good value for the money. I will order from this website again. We have had 3 different humidifiers in the house and on the furnace over the past many years and this one from Honeywell is by far the easiest to change filters in and to keep it clean. The filter is an easy in-out, the frame breaks down for easy cleaning and the new filter goes in quickly. This is a good system. Was in need of replacement filter for honeywell humidifier. The pair of filters were shipped quickly and fit into humidifier perfectly. Keep the house nice and comfortable during the winter months. This is my second order from Honeywell. Both products were easy to order arrived quickly and were easy to install. I will order again from the Honeywell Store. This pad replaces the original. It comes with the outer mesh screen. Fast delivery and little down time! Quick and easy. Received product in a timely fashion. arrived on time and was a perfect fit. Perfect fit, good value, and delivered to my door, doesnt get easier. Repeat customer for my filters. Recommend! it was a perfect fit. Thank you. I used the HW on-line store to order my whole house humidifier pad. I found the HW website to be ease of use and the product to be available and I was given all of the information to track the delivery of the order. The order arrived earlier that what was publish on the HW site and I was quite surprised to say the least. I found the installation to be extremely straight forward and would recommend that anyone who even the smallest amount of DIY capabilities should do this themselves and save a huge cost by having an HVAC company to do the same work. Filters were fairly priced and delivered quickly with no fuss. Good price at Honeywell store. They had the lowest online price and reasonable shipping and handling. Package arrived in less than a week. New filter fits like it should. Do you require assistance in remembering when to purchase this particular product? 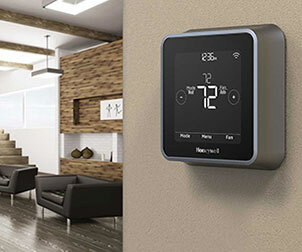 The Honeywell Store has simplified the process by offering a complimentary email reminder service. Simply enter your email address in the box below and specify your chosen time interval. This will ensure that you receive a friendly email reminder when the appropriate time has elapsed. Completely free of charge, this service is offered on products that require replacement after prolonged use.